The digital world moves fast and can change in a flash. This means you often have to think quick. There’s no better way to train yourself for fast thinking than regular thinking outside the box. Getting creative with your campaigns or trying something with a slight twist often gets results, saves you money and earns you both new revenue and new customers. 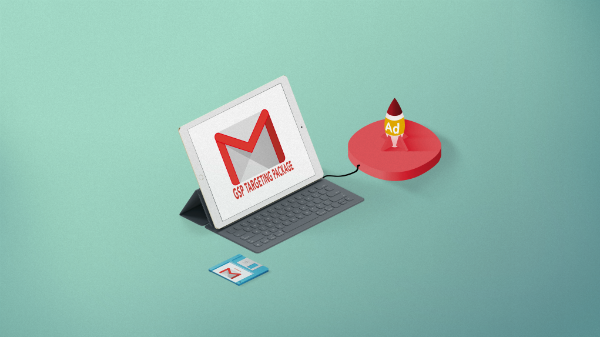 Gmail Sponsored Promotions (GSPs) have been around for quite a while now and we’ve already shown you their awesome power over two years ago. But, with a little thinking outside the box, I uncovered two innovative and effective uses for GSPs. 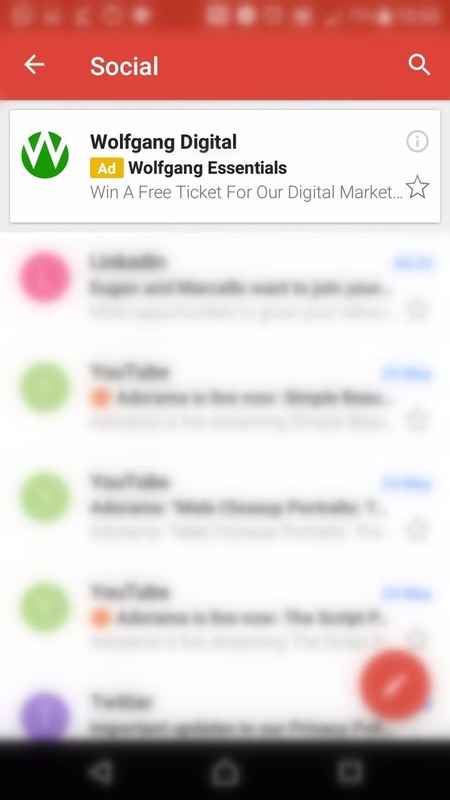 The real power of GSP campaigns comes through their targeting as this ad type can target keywords within emails. I’ll go into more detail on the power of this a little later. Unfortunately, your chance to attend Wolfgang Essentials for free has passed, but I’m just getting started with what you can do with GSPs. When putting together our promotion plan for Wolfgang Essentials, we also thought LinkedIn would make a lot of sense as we could target our audience based on their job titles. We discovered that while LinkedIn does provide really impressive targeting, it requires a large spend with high CPCs and CPAs. Taking on the AdWords portion of our lead generation campaign, we laid the foundations of our GSP campaign, targeting people who were receiving communications from renowned digital marketing blogs, such as Moz. As is the Wolfgang Way, we wanted to have some fun with the tools we have and dug a little deeper into what GSPs could deliver. Think about all those emails you send and receive daily. Most of them have signatures and within these signatures are job titles. Can you see where I’m going with this? We could mimic LinkedIn-style targeting by using GSPs as Google scans emails and, subsequently, signatures. We had all the job title data right there in AdWords. Not only was this quicker to set up, but the GSP’s CPA was almost 50% lower than LinkedIn - a time and money saver. The destination for our campaign was a form which collected the data we needed to sign people up for the conference. This was an opportunity for us to test my hypothesis that targeting job titles in GSPs was possible. We added some extra questions to the form, asking people for their job title and where they heard of Wolfgang Essentials. With this data, we were able to verify my hypothesis, matching targeted keywords with form submissions. 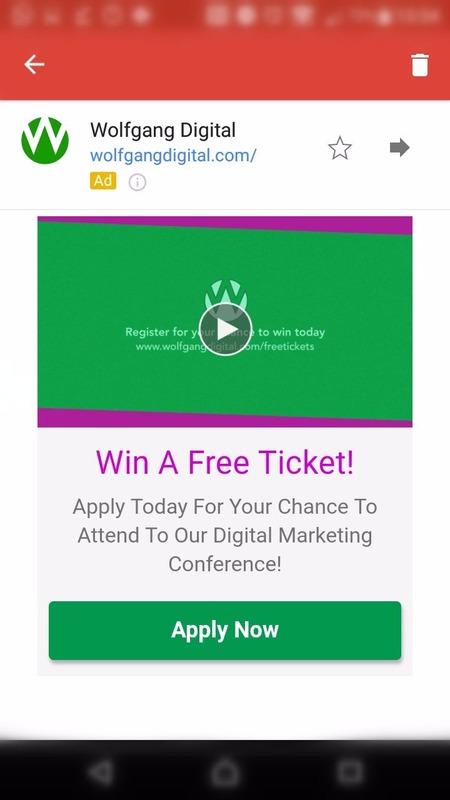 With this really quick and simple campaign, we were able to replicate the effectiveness of LinkedIn advertising at a fraction of the cost. Of course, it’s not all about us. One of our retail clients wanted us to find them some new customers. We started out by laying the usual campaigns that would achieve our client’s goals. With the foundations laid, we also wanted to get a little more creative with the task, safe in the knowledge that GSPs could deliver impressive results. Most of Ireland’s grocery retailers offer loyalty cards, online accounts and various other services that require regular email contact with their customers. I did some digging around, signing up for various newsletters and reward schemes, collating a definitive set of recurring keywords from these Ireland’s grocery retailers’ customer communications. High intent keywords, including a competitor brand name, helped hyperfocus GSPs towards the customers of our client’s competitors. Combining this with our list of keywords, we could effectively use our client’s competitors’ email campaigns against them. We’ve talked about stolen revenue in the past, but this resulted in nearly 50 stolen customers. A significant number, especially when you consider the long-term value of these customers should they continue to shop with our client. Targeting your competitors with GSPs is an old trick that we looked at over two years ago, but we didn't’ rest on our laurels. Knowing there was more to gain, we built upon our original tactic, using dedicated landing pages and special offers to gain insights and steal customers. Remember I said at the outset that digital world moves quickly? Well, Google has stated it plans to stop scanning Gmail accounts. The functionality is expected to fizzle out by the end of 2017 but for now, keyword targeting remains and is still referenced within their help pages. Our advice? Make hay while the sun shines and use your competitors' email campaigns against them while you still can. Even when this functionality is removed, GSPs with remain and will retain the ability to target in-market audiences. There is nearly always a way to achieve your goals in digital marketing. But, there’s also nearly always a more efficient and cost effective way to achieve your goals in digital marketing. All it takes is a little thinking outside the box.